Kaizer Chiefs has confirmed that Khama Billiat is training again. 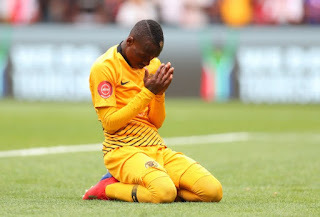 Kaizer Chiefs have shared an update of their playmaker, Khama Billiat who out for a while due to an injury. Zimbabwean star, Billiat had to watch his team suffer a 1-0 loss to Bakgaka the past weekend. However, Amakhosi announced that he is back in training. "Khama has started training again. We will assess how he responds in training, before making a decision on his availability for selection on the weekend,” Chiefs physiotherapist Dave Milner told the club’s website. Meanwhile, it appears that both Lebogang Manyama and Mulomowandau Mathoho could be back in action before the season comes to an end after lengthy absences due to their own respective injuries.